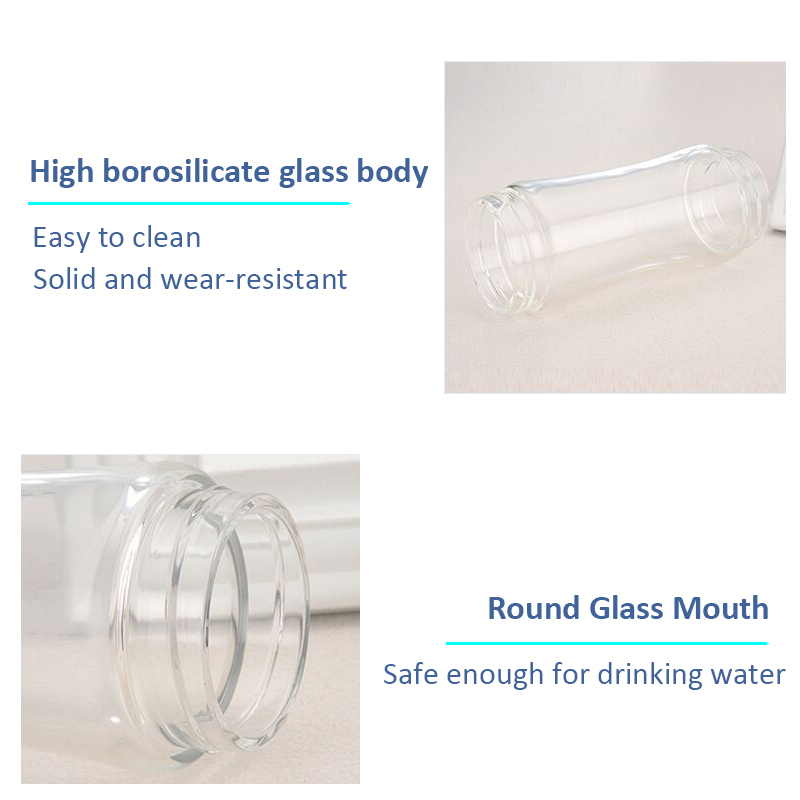 2018 NEW Portable hydrogen rich water ionizer bottle provides more healthy water for you. It only need 3 minutes to produce a cup of hydrogen rich water which can be directly drunk. 320ml designed for travel size. 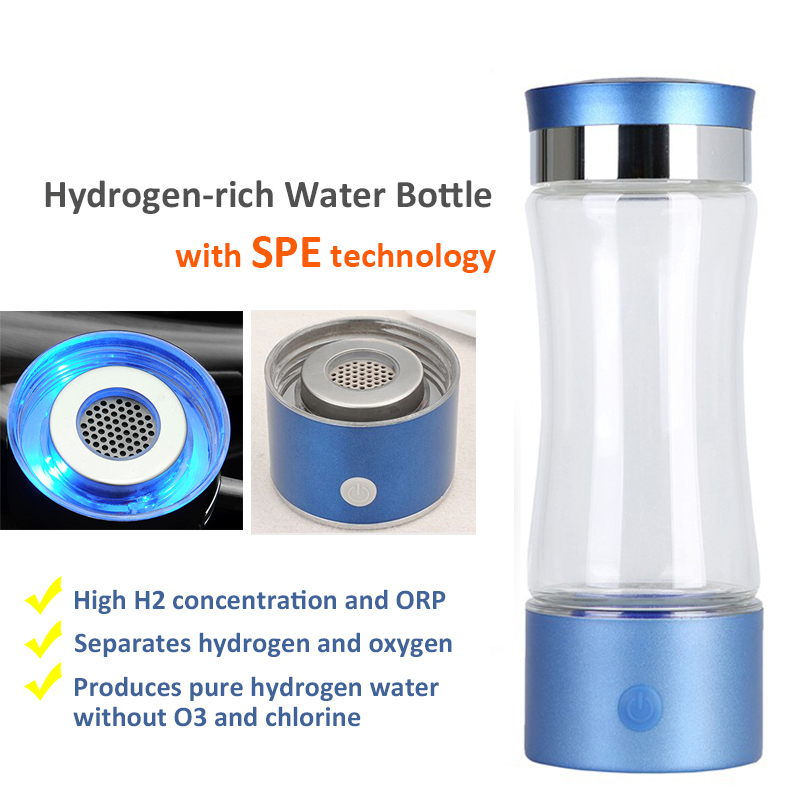 H2 Hydrogen rich water bottle with SPE (PEM) electrolysis technology. 1. 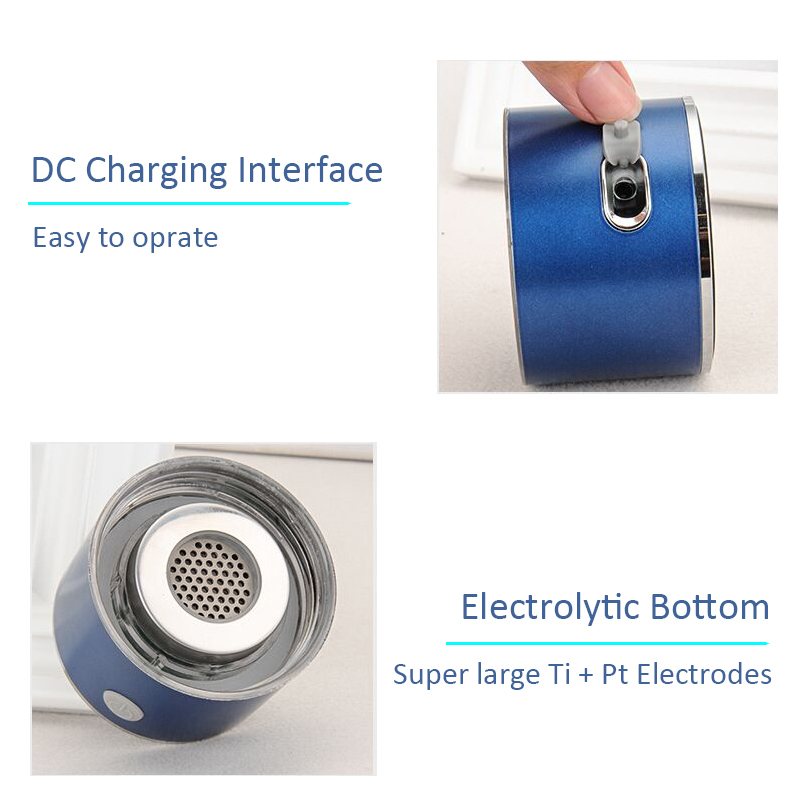 Generates much higher concentration of hydrogen water than standard electrolysis bottles. 2. Our hydrogen rich bottle will create more H2 within 3 minutes than most bottles on the market. 3. Easy to operate for any age. - aids in lowering cholesterol levels. Should We All Be Drinking AlkaVoda Hydrogen-rich Water? The health benefits of hydrogen-rich water which are said to stem primarily from protection against cell-damaging free radicals-merited further investigation. Atsunori Nakao, MD, PhD, a research associate professor of surgery at the University of Pittsburgh, who has conducted studies on the subject, he described research that is nonetheless intriguing. How Hydrogen works: you no doubt recall that a molecule of water, or H2O, consists of one atom of oxygen bound to two atoms of hydrogen. In our bodies, hydrogen functions as an antioxidant, helping to prevent cell damage and inflammation, protect DNA and combat out-of-control cell growth. The point of hydrogen-enriched water is to provide hydrogen that is easier for our cells to use. Hydrogen-rich water is created through a simple chemical reaction-when a hydrogen water stick containing metallic magnesium is palced in a bottle of plain water, the magnesium elicits a reaction that constantly generates hydrogen with 0.3-0.5 PPM concentration. 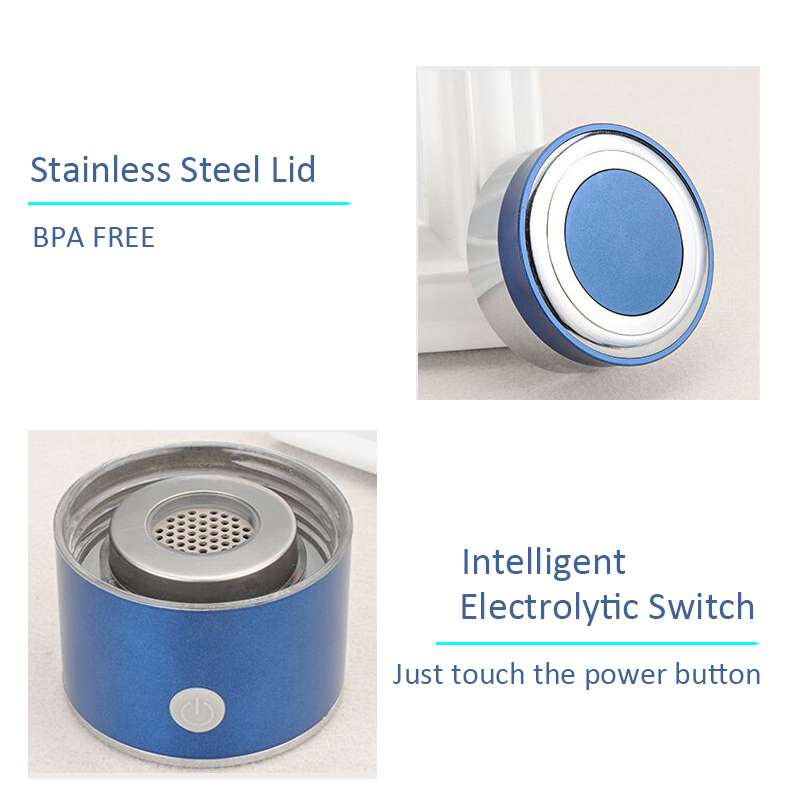 When a hydrogen-rich water generator cup, which has the electrodes like the water ionizer, is electrolyzing the water, lost of hydrogen generates rapidly. The hydrogen concentration is up to 1.1 PPM within 3 minutes. What can the AlkaVoda Hydrogen-rich Water do for you? How is the Hydrogen-rich water working as an antioxidant? 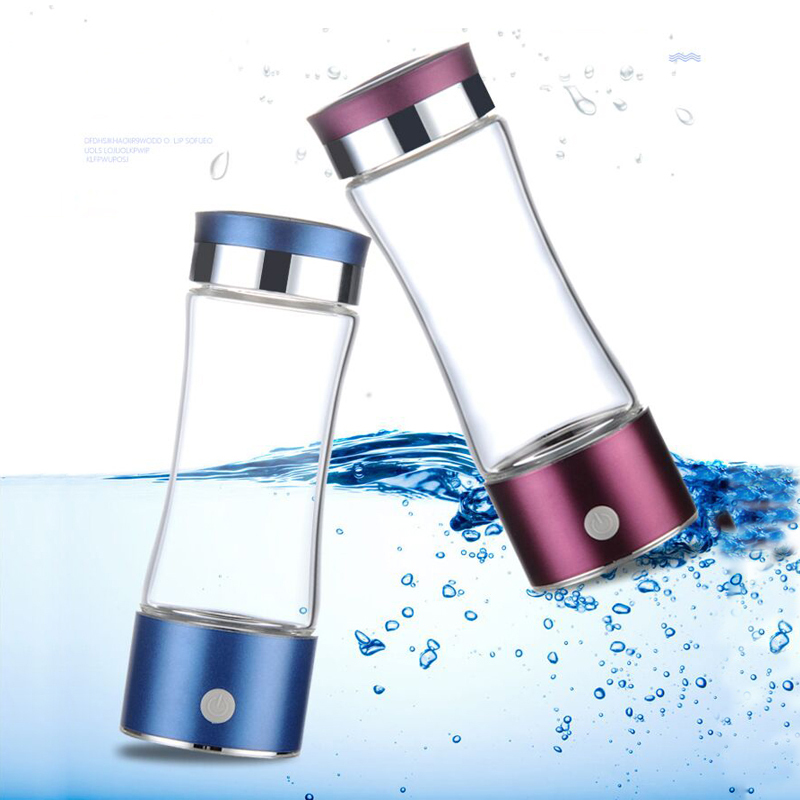 Hydrogen water absorbs into your body easily to boost your metabolism and increase the bodies micro circulation. Molecular hydrogen is amazing. It is helping people with arthritis, type2 diabetes and Parkinson's. Athletes are using this gas to increase the amount of time they can work out. H2 water reduces the amount of lactic acid in the body.